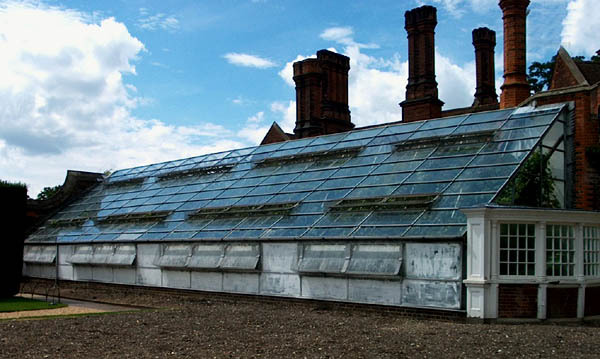 If you go to Hampton Court…. 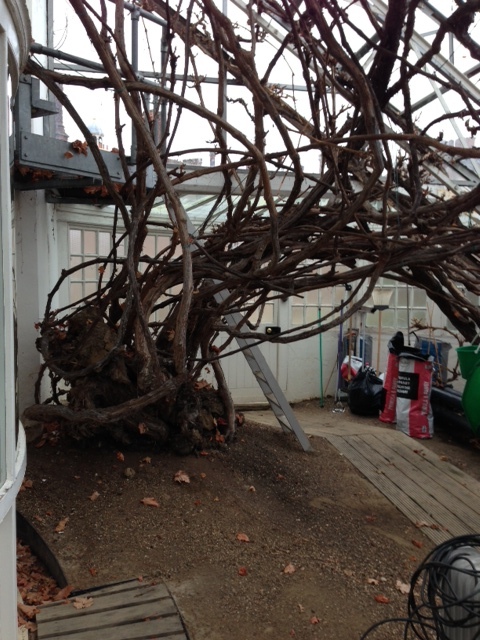 or should I say when you go to Hampton Court… you have to go and see The Great Vine. On our first day at KLC we were given a tour of the Palace gardens. And as part of our tour we went to see this venerable plant. The Great Vine was planted in 1769. That makes it 254 years old….. The Great Vine has its own glasshouse – and a dedicated expanse of richly fertile looking soil outside the glasshouse where the roots of the vine are fed and watered. Has she seen The Little Shop of Horrors? How does she sleep at night? If there was ever a plant with attitude this is it. And even if it doesn’t turn round and look at her like she’s dinner, what happens if it starts looking a bit peaky? 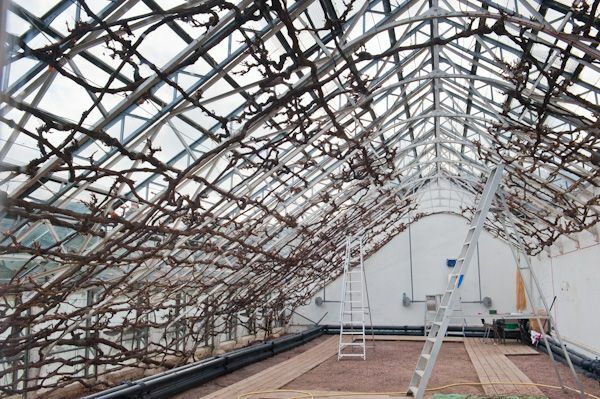 This vine is the largest grape-vine in the world. It’s 254 years old. That’s one hell of a responsibility…..